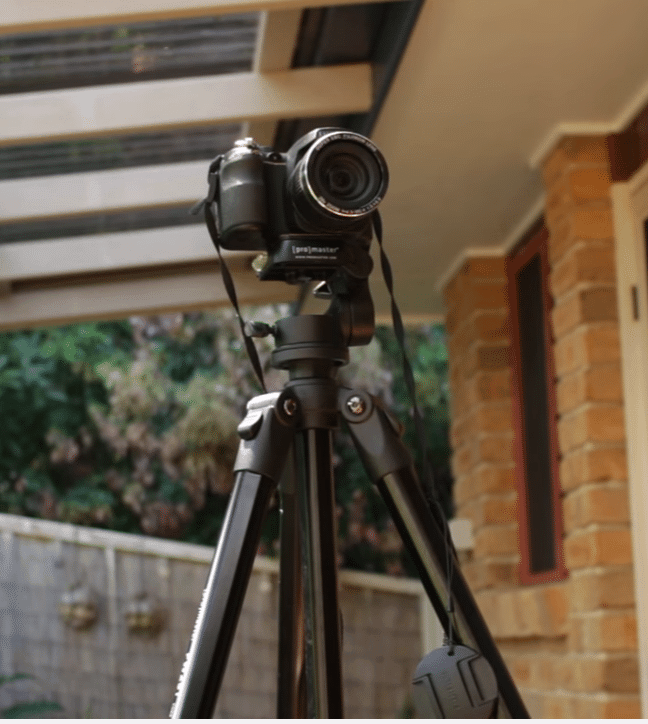 The Promaster FW29T Featherweight Tripod is designed for great video takes, that means that the head (e.g. the place where you mount the camera) is filled with a friction-reducing fluid which allows you to get those silky-smooth pans and tilts. This foldable tripod is made of magnesium alloy, and it seems really sturdy. Its weight is 2.17kg, which means that it’s not exactly featherweight – the name’s a bit misleading there – but it’s certainly lighter than many of its competitors. Another benefit is that it can almost cope with any terrain that you throw at it, with its rubberized feet and independent legs that aren’t joined by any kind of center brace. This means that you can release the leg clamps and bend the legs into some pretty ridiculous looking positions. And it’s certainly not a short tripod either! At the maximum height of the legs, it stands about 168cm, which is around 5 1/2 feet. Plus, you can extend the center column and get another 30cm at least. This means that, with everything extended to the max, it stands at more than 6 feet, and yet this thing is absolutely rock-solid – it feels well built, it’s tough, and in normal use, it’s not going to tip over. So, that’s the legs sorted, but what about the head? Well, it comes with the ProMaster 6160 3-Way Pan Head, and honestly, this one’s so good, I can’t think of a reason why you’d need to replace it. It comes with all the usual features – you can do a horizontal pan by loosening a screw on the side, you can do a vertical tilt by loosening the main handle, and you can even flip your camera into portrait mode. Yes, you heard that right, you can actually rotate your camera 90 degrees. That is, if you’re willing to run the risk of damaging an expensive DSLR, then sure, go for it. But maneuverability aside, what I really wanted to know is: just how good are the results that you can get from this tripod? To test this, I should mount a camera on it. So, I tried two, I tried an old Fujifilm FinePix bridge camera, and I also tried a Canon EOS 700D. The first step is to remove the mounting plate. You do this by flicking the quick release lever, and then it just springs up. It has a cork finish; it looks like something from the 70s to me, cute and retro. You then attach your camera to the plate, and then just apply a bit of pressure on the front of the mounting plate to make it snap back into place. Then, you’ve got to position the tripod legs so they’re nice and level. And you’ve got two instruments to help you do that. Not only do you get the standard spirit level, which gives you a measurement in the horizontal plane, but you also get something called a bull’s eye level. If you want to get really technical, it tells you when the pitch and the roll are correct, so that basically means when the center pole of the tripod is pointing directly at the ground. So, you’re almost ready to start shooting! 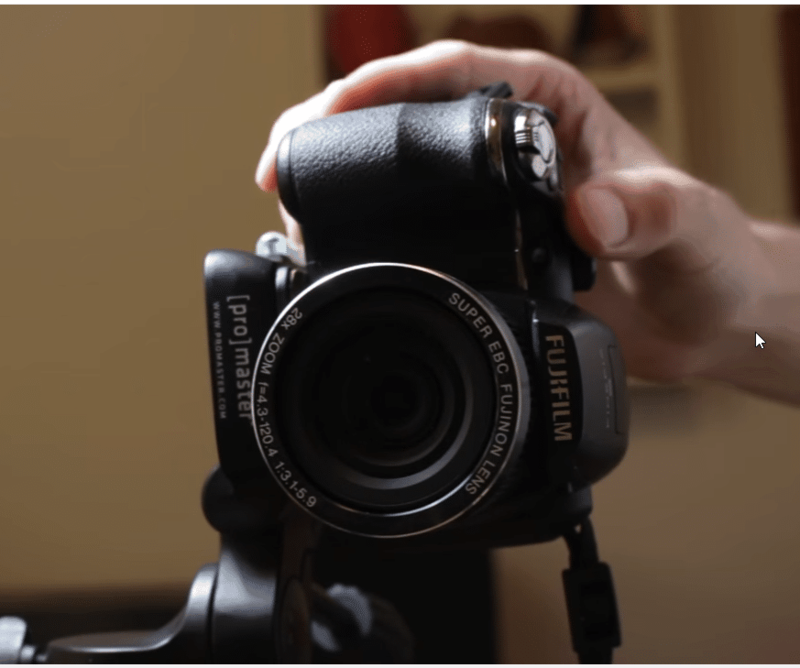 All you need to do now is extend the quick-release leg clamps to your preferred height, and then switch on your camera and get ready for some smooth panning. So, would I recommend the ProMaster FW29T? Absolutely. When you compare it to other pro tripods on the market, you’ll find that it’s very reasonably priced. It’ll give your video productions that professional touch and the build quality means you’ll be enjoying it for years to come.